The project team worked with and supported a University following the completion of an £8m Spring Lane academic building, by offering to support YUSU – University of York students’ union – in the creation of ‘a sustainable party to remember’. They provided resources from their recent project at the University, including the site’s hoarding panels, which they transported to the party location in advance for students to create outside bars. The union had chosen an ‘eco-theme’ for this year’s celebrations and even had a donation of straw from a local farmer to complete the look. The joint venture not only looked amazing and got students actively involved, it also saved the University a significant amount of money when compared to previous years. “Our recent large scale outdoor event saw more than 2000 people attend. 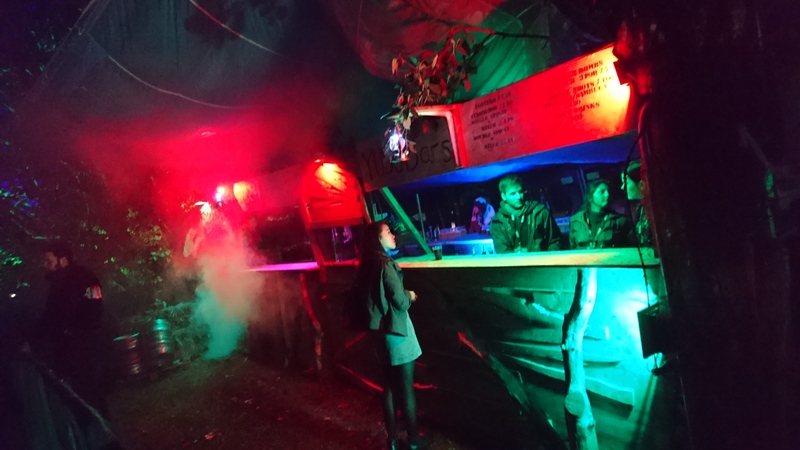 This year there was a strong emphasis on “eco” with a pedal powered stage and our bars constructed from reclaimable materials for the first time. We were delighted that GRAHAM Construction could provide us with all the basic materials making the event a great success. The legacy continues with the same materials being used in other projects – one of which is the build of a local outdoor interaction centre for residents with learning difficulties. Thanks to everyone involved for making this happen”.